PB Pro is developed in the UK and offers the essential options such as setting up photo templates, strip prints, applying filters and MORE! PB Pro allows you to take advantage of so many features including social media sharing, green screen, and photo filters. There is a reason why so many photo booths use PB Pro across the world. It’s easy to use and has maximum effects. Why not explore what our photo booth software can do to enhance your business? Easily customise your pictures including borders, backgrounds, logos, custom text with ease. Drag and drop layouts for you to choose. Save layouts for future use. 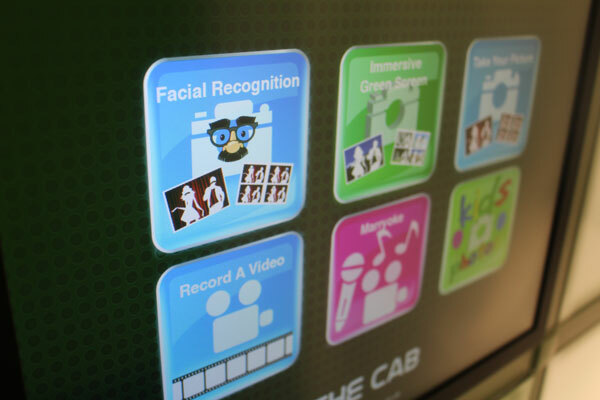 Take a picture, record a video are just the standard features of a photo booth. With PB Pro achieve so much more. Green Screen, Digital Facial Recognition, Marryoke Karaoke, Flipbook, Strip Prints, Magazine Covers. Every part of the photo booth process that your customer interacts with can be changed and customised. Add your own logo, background, even change the icons on screen. All with a simple drag and drop. All customer interfaces are fully customisable with PB Pro software. Our PB Pro software comes integrated with Team Viewer to allow remote dial in access. Sometimes it’s not that easy to explain difficulties over the phone, we’re happy to look at it for you. PB Pro offers UK support around the clock. Choose between 9-5 or 24/7 support. Prices vary for support. We understand that technology is constantly being updated, and your photo booth software needs to be to. PB Pro is constantly updated with new features and fixes for any bugs or glitches that have been detected. PB Pro is constantly being updated. Enable automatic updates for 12 months by choosing a support package. As used by the BBC, Coca Cola, Jessops and ITV. PB Pro is our unique photo booth software that has been designed from scratch to meet the needs of today’s portable photo booth operators. Having experienced other software packages that were add-ons to camera control packages, we were left extremely disappointed in their capabilities and ease of use. With our knowledge of the photo booth market and the needs of operators for an easy to use, feature rich package we created an “in house” software development function within our team, specifically to meet these demands via our own bespoke photo booth software package; PB Pro. * For a full list of Compatible Cameras click here.